Joe Root's side had gone winless in overseas Tests since beating Bangladesh in October 2016, with that run seeing them draw a series with the Tigers, thumped in India and Australia and also lose in New Zealand. 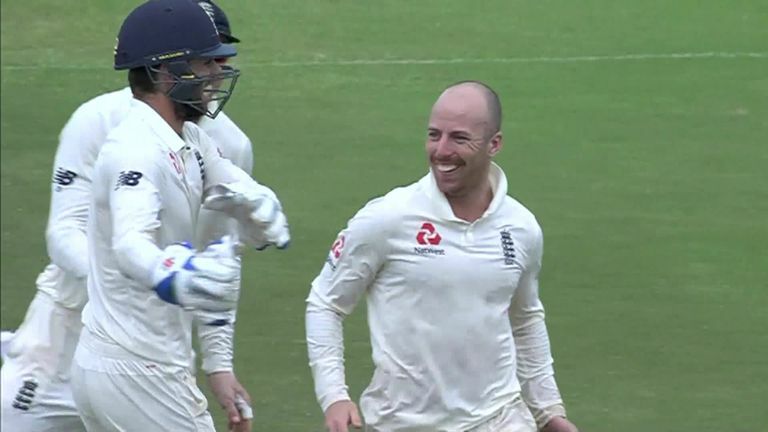 "Golden delivery - it's one you dream about," yelped David Lloyd on commentary and he wasn't wrong as Leach landed a vicious delivery on middle and Chandimal, playing down the line, was bowled by a peach that span past the edge and struck off-stump. Special mention, too, to Rangana Herath whose run out confirmed England's victory but he left the Test stage with a now familiar wave and the accolades of the world of cricket ringing in his ears. Jack Leach did not concede a boundary with any of the first 76 balls he bowled in the innings. Graeme Swann is the only England spinner since 1999 to bowl more balls than that in an innings without conceding a boundary (v West Indies at Port of Spain in 2009) - thanks CricViz! Was Olly Stone the big winner from today's play? With the Test done and dusted, thoughts start to turn to how England will line up next Wednesday in Pallekele - and the way that Ben Stokes ruffled Sri Lanka midway through the fourth day, when he had Kusal Mendis hoping around and should have claimed the wicket of Angelo Mathews, will get the selectors thinking about including extra pace. The big questions are, of course, who would make way - not least if Jonny Bairstow is fit to return. Ben Foakes has put forward the strongest of arguments to keep the gloves and Rory Burns has impressed without scoring big, so could Bairstow play as a specialist batsman? 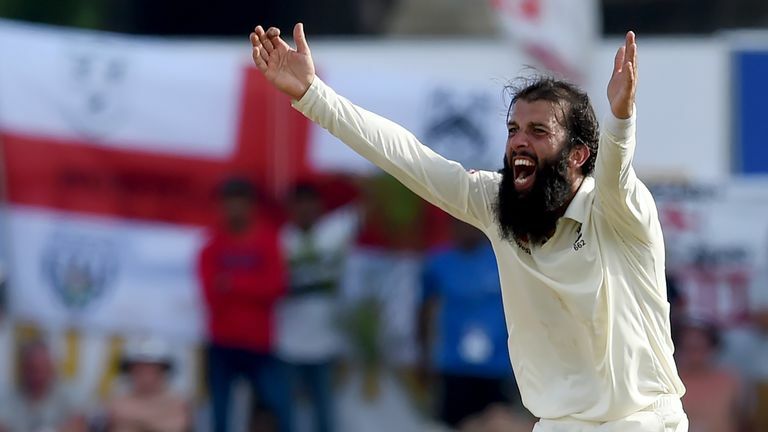 Moeen Ali had a shocking Test with the bat but is England's premier spinner. Stone could come in for Sam Curran, but that would weaken the batting, so Bairstow's presence would be most welcome - so perhaps Adil Rashid is in the most vulnerable position? One suspects the pitch will have the final say. RANGANA HERATH: "It's a bit of an emotional situation but everyone has to take a decision at the right time so I'm thankful for all the years that I've played and all the people who were behind me, especially my teammates and Sri Lanka Cricket. I must thank every single person who was behind me. It's been a privilege and an honour to play for my country. We have 22 million people in Sri Lanka so very few people get these opportunities and that is a remarkable achievement and an honour for any player." KUMAR SANGAKKARA: "Rangana is an absolute legend. I always say he's the greatest role model cricketing-wise that Sri Lanka has ever produced, just because he's never complained. Every time he had an opportunity he made it count; that's the measure of the man. Quiet but an absolute champion." JOE ROOT: "I am very proud. I thought the way we played throughout the four days was excellent. From after lunch (on the first day) we were in control. The partnership between Jos Buttler and Ben Foakes put us in a really good position. I thought as a group we built good pressure over a long period of time and we were excellent. We have to as much as we can take this into the rest of the tour, but we have to build on it and not rest on our laurels."